Please reconsider your need to travel to Venezuela. 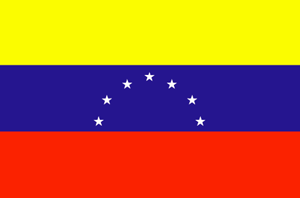 Venezuela is a country in South America (South America) with around 27 million citizens and a land mass of 912,050 km². We detected travel advisories from 8 sources for this country. Venezuela shares land borders with 3 neighbouring states. For this country, the Danger Index is 2.2 (average value for all countries). All countries habe been reported as somehow dangerous: Guyana (2.3), Brazil with (2.2) and Colombia with (2.2 of 5). See danger map of the region. The Austrian Government advises again travelling Venezuela. In view of the fact that Venezuela is still mired in an economic, political and social crisis, all unnecessary travel to the country should be averted. The country continues to experience high levels of crime and extremely high homicide rates, ongoing political and social unrest, shortages of food and essential medicines, and failure of electricity and water supplies. The security situation in the country is precarious and unpredictable. Moreover, the crisis may be exacerbated. Venezuela has closed its land borders with Brazil and Colombia and maritime borders with Aruba, Curaçao and Bonaire until further notice. The political and economic situation remains very unstable. Monitor local media and follow the advice of authorities (see Safety and security). We continue to advise you not to travel to Venezuela. Do not travel to Venezuela due to crime, civil unrest, poor health infrastructure, kidnapping, and arbitrary arrest and detention of U.S. citizens. Read the entire Travel Advisory. On January 24, 2019, the Department ordered the departure of non-emergency U.S. government employees and family members due to ongoing political instability. The U.S. government has limited ability to provide emergency services to U.S. citizens in Venezuela. Violent crime, such as homicide, armed robbery, kidnapping, and carjacking, is common. Political rallies and demonstrations occur, often with little notice. Demonstrations typically elicit a strong police and security force response that includes the use of tear gas, pepper spray, water cannons, and rubber bullets against participants and occasionally devolve into looting and vandalism. There are shortages of food, electricity, water, medicine, and medical supplies throughout much of Venezuela. The U.S. Centers for Disease Control and Prevention (CDC) issued a Level 3 ‘Avoid Nonessential Travel’ notice on May 15, 2018 due to inadequate healthcare and the breakdown of the medical infrastructure in Venezuela. Consular access to detained U.S. citizens who also have Venezuelan nationality is severely restricted by the Venezuelan government and the U.S. Embassy may not receive access in these cases. Security forces have arbitrarily detained U.S. citizens for long periods. Venezuelan authorities may not notify the U.S. Embassy of the detention of a U.S. citizen, and consular access to detainees may be denied or severely delayed. Read the Safety and Security section on the country information page. The Canadian goverment suggests: Avoid all travel. Do not travel to Venezuela due to ongoing high levels of violent crime, the potential for violent civil unrest, political uncertainty and shortages of food, medicine and other basic supplies. There is a risk of kidnapping due to drug traffickers and illegal armed groups operating within 80 kilometres of the border with Colombia, particularly in the States of Zulia, Tachira and Apure.